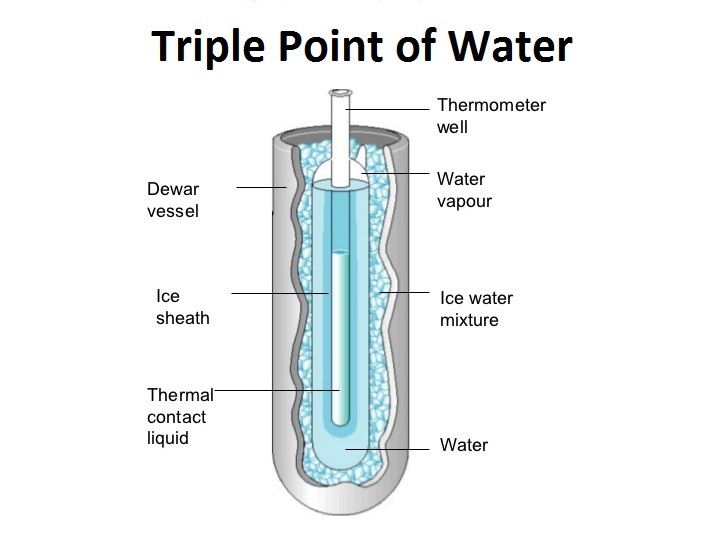 The triple point of a substance is the temperature and pressure at which three phases i.e the liquid, gas, and solid of that substance may coexist in thermodynamic equilibrium. The single combination of pressure and temperature at which liquid water, solid ice, and water vapour can coexist in a stable equilibrium occurs at exactly 273.16 K (0.01 °C; 32.02 °F) and a partial vapour pressure of 611.657 pascals. At that point, it is possible to change all of the substance to ice, water, or vapour by making arbitrarily small changes in pressure and temperature.